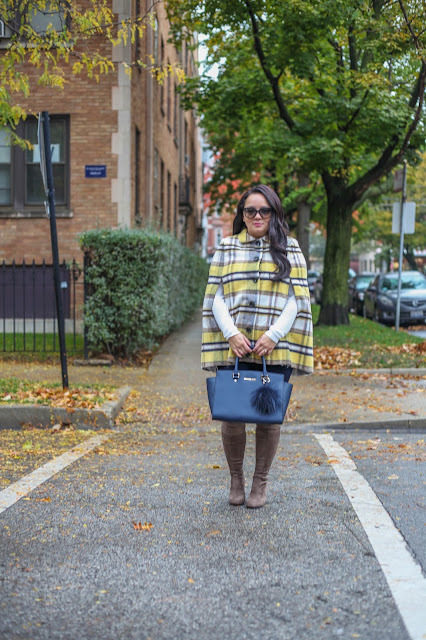 With fall in full swing here in Chicago I just knew I had to bust out my plaid coat! Its the perfect fall staple that anybody can wear! I knew I wanted to make the coat the staple so I kept everything else simple. The best thing about this coat is it's super warm and it's been on major repeat the past few weeks! Oh HOW FUN is this cape?! I love it, lady! 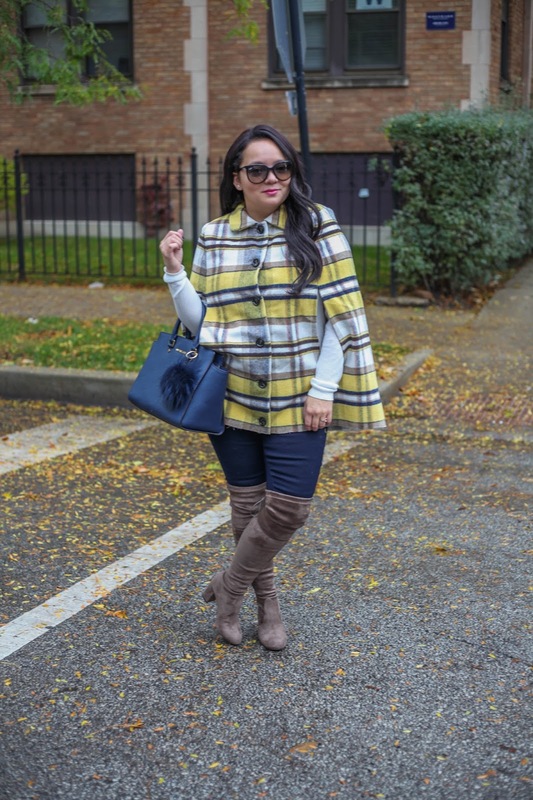 I love the vibe of this look with the plaid and high boots!